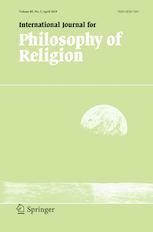 The International Journal for Philosophy of Religion (IJPR) provides a medium for the exposition, development, and criticism of important philosophical insights and theories relevant to religion in any of its varied forms. It also provides a forum for critical, constructive, and interpretative consideration of religion from an objective philosophical point of view. IJPR presents articles, symposia, discussions, reviews, notes, and news, serving the interests of a wide range of thoughtful readers, especially teachers and students of philosophy, philosophical theology and religious thought. The International Journal for Philosophy of Religion represents no single institution or sectarian school, philosophical or religious.